Thinking Pinoy: Gina Lopez awarded P9-B to USec Camara? 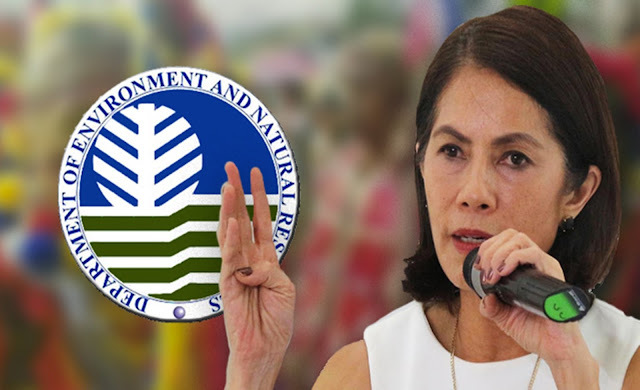 Gina Lopez awarded P9-B to USec Camara? Earlier today, Manila Standard (MS) published “Lopez scored for charcoal making plan”. Let's fact-check it. Here's a rundown of the article’s contents. Airboard Co. owner Manuel Galvez, a critic of Environment Secretary Gina Lopez, accused the latter of awarding a P9 billion charcoal making contract to BioChar, a company owned by Environment Usec. Philip Camara. Lopez issued DENR Administrative Order 2017-05, which orders all DENR offices to implement the BioChar project. Camara drafted the DENR A.O., where he was designated as head of the Biochar program. The “Biochar” mentioned in the DENR A.O. is not even a technology. That the contract is a clear case of Graft and Corruption. Camara has resigned on April 7 per the Civil Service Commission’s ruling that he was unqualified to become a Usec. Lopez said Biochar is has 52 known green uses, but Galvez challenged Lopez’ claims, arguing that he has yet to see a study showing Biochar helps mitigate climate change. That the biochar referred to in DENR AO 2017-05 is not even a technology. That there are no studies that suggests biochar mitigates climate change. That biochar, in reality, is a company owned by former DENR Usec. Camara. That Lopez committed graft and corruption by awarding a multi-billion peso contract to Camara’s Biochar. The DENR AO used Biochar.org as its reference for that definition. I admit that the site has a questionable reputation, as it appears to be a news aggregator about everything related to biochar, not some website by a well-known organization. Pyrolysis is the thermo-chemical conversion of dry organic materials (i.e. woody wastes) into bio-oil, syngas, and biochar. Biochar is being promoted for its potential to improve soil properties, fertility and carbon sequestration in soil while also producing renewable energy. Yes, biochar is a legitimate technology, as DENR’s definition sufficiently matches WSU’s, and there are many other university websites who use a definition similar to DENR’s [Google]. Galvez claimed that he has yet to see studies suggesting that biochar mitigates climate change, so I scoured the internet for such, and I have found several studies that corroborates DENR’s position. Three environmental benefits (of biochar are): (1) mitigation of climate change, (2) improvement of soils, and (3) reduction of environmental pollution. Professor Johannes Lehmann is a multi-awarded Professor in Cornell University’s School of Integrative Plant Science, Soil and Crop Sciences Section [Cornell]. Sohi et Al. (2009). Biochar, climate change and soil: A review to guide future research. CSIRO Land and Water Science Report. Retrieved from [Google Scholar]. Swanson, J. (2013). Climate-Change Mitigation Potential of Biochar: A Review and Framework for Carbon Accounting. Duke University - Nicholas School of the Environment. Retrieved from [Duke University e-Library ]. Winsley, P. (2007). Biochar and bioenergy production for climate change mitigation. New Zealand Science Review. Vol 64. Retrieved from [Penn State U Citeseerx]. A simple [Google] search provides more scholarly articles showing biochar’s ability to help mitigate climate change. In short, biochar’s potential for mitigating climate change is well-established. Yes, biochar helps mitigate climate change. 3: USec. Camara owns a company named “Biochar”. DENR USec. Camara is the founder and CEO of the Philippine Biochar Association (PBiA). He is also the co-Founder and Chief Agriculturist of the Sambali Beach Farm, a demonstration farm for a sustainable biochar-based technology [ResponsibleBusiness]. The PBiA, in itself, is not a for-profit organization, as it merely serves as a facilitator of biochar companies all over the country [PBIA]. Meanwhile, Camara’s Sambali Beach Farm is more of a small-to-medium scale organic farm with a resort on the side [SBF FB], and judging from the photos of the place, it is unlikely that this company can perform a biochar program on a massive scale [SBF IG].I have searched online for any newly-formed, large scale, local biochar company, under Camara, and there aren’t any [Google]. Basically, Galvez appears to be referring to PBiA, an association of biochar companies that, in itself, does not directly participate in biochar production. Instead, PBiA’s member-companies who do. DENR USec for Field Operations Philip Camara indeed spearheaded the issuance of the February 2017 DENR AO, as shown by his signature at the end of the said document. However, Section 10 states that the order becomes effective only after it has been published in a newspaper, which happened only on 04 April 2017 [DENR]. Meanwhile, the Civil Service Commission, citing ineligibility, ordered Camara’s dismissal from service on 05 April 2017 [BW], which Camara considered effective and final on 07 April 2017 [DENR]. Thus, if a P9-billion biochar contract was indeed issued, two things are clear: (1) that it was issued after 04 April 2017, and (2) Camara is probably out of it, as he was fired immediately after the AO was considered effective. Did Lopez really issue a P9-billion biochar contract and if so, to whom? I contacted DENR Usec Marlo Mendoza earlier today to ask for answers. Mendoza is DENR's officer-in-charge for Field Operations, i.e. Camara’s replacement. Mendoza categorically denied the existence of any P9-billion biochar contract. There is no concession with Philip Camara. Camara has been (advocating) the use of biochar for how many years already. Biochar is a technology: it is not a brand. Our budget for the National Greening Program is just P6.9 billion, and that’s for the entire program. We allocated only P150,000 per people’s organization for use in buying equipment and supplies, capacity building, and training, and there’s an expected specific output. Right now, a generous estimate would be 10 to 20 people’s organizations. Assuming 20 have been awarded contracts, that would amount to only P3 million pesos, a far cry from the alleged P9 billion contract. Mendoza clarified that all of these people's organizations are small groups. None of them has the capacity for large-scale biochar production, which would have been necessary to perform a P9 billion biochar production contract. In short, the alleged contract in the MS article does not exist. The claims in the MS article are hogwash, and I respectfully encourage Ms. Herrera to perform due diligence before publishing articles. A simple call to DENR would have clarified the issue, a call that she regrettably failed to place [ThinkingPinoy].